The Central Bank of Russia (CBR) has more than doubled the pace of gold purchases over the past decade, adding more than 1,250 tons to its gold reserves according to World Gold Council data. In the second quarter alone, it accounted for 38 percent of all gold purchased by central banks. The gold rush has allowed the CBR to continue piling its reserves while abstaining from purchases of foreign currency (particularly, the US dollar) for more than two years. “The sixth largest gold reserves in the world, they constitute 17 percent of the nation’s wealth,” said the report. It added that if buying continues at a similar pace, the full year increase in 2017 “could closely match” the 200 tons purchased annually in 2015 and 2016. According to the World Gold Council, Russia is not only the largest official buyer of gold but also the world’s third-biggest producer, with the central bank purchasing from domestic miners through commercial banks. 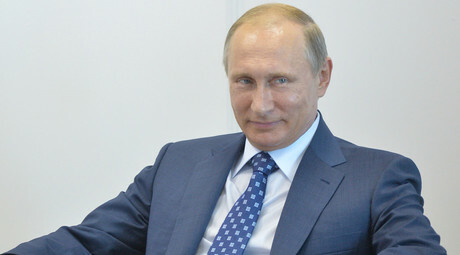 “Today, Russia is a prominent player in the global gold market, both on the supply and demand side. It is the world’s third-largest producer, with a 200-year history of gold mining, and the most significant official purchaser of gold,” said the report. In the past ten years alone, the country has mined more than 2,000 tons of gold, with production of more than 300 tons expected this year, rising to 400 tons by 2030, said Sergey Kashuba, Chairman of Russian Gold Producers Union. Growth has been driven by a range of factors, particularly the privatization of state-controlled gold mining companies and consolidation of smaller gold producers, both of which allowed Russian miners to compete on the global stage. The five biggest gold mining companies – Polyus, Polymetall, Kinross, Petropavlovsk, and Nordgold – produce more than 120 tons of gold a year, some 50 percent of Russia’s total production. 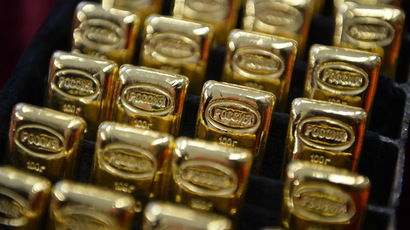 Simplifying the “taxation regime for individual and institutional gold purchases” as well as “opening up the domestic gold investment market” could bolster Russia’s position on the global gold stage and increase gold’s contribution to the domestic economy, experts said.